Joshua Lelevier is facing additional charges by the Pima County Attorney. Lelevier is accused of killing 13-year-old Jayden Glomb, his stepdaughter. The new charges relate to images he took of Glomb before the murder. According to Jonathan Mosher, Chief Trial Counsel, Lelevier faces two counts of sexual exploitation of a minor under age 15. One count relates to a still image and the other relates to a video. Lelevier faces two counts of voyeurism and two counts of surreptitious recording. The still photograph, time stamped 8:47 p.m. April 25, depicts Jayden on a toilet using a tampon. 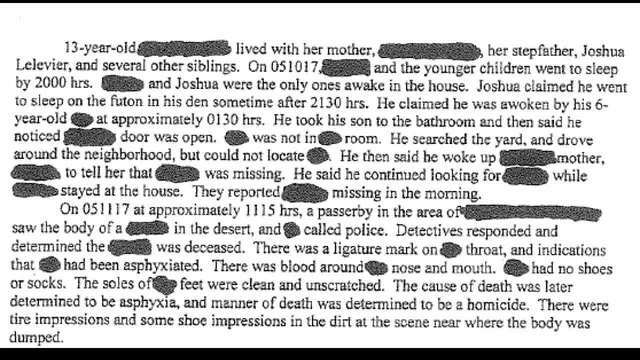 The video recording, time stamped 7:34 a.m. April 26, depicts Jayden undressed in the bathroom. According to the Pima County Jail, Lelevier's previous charges include two counts of unlawful recording of a person, two counts of sexual exploitation of a minor, and two counts of voyeurism. His bond has also been increased from $500,000 to $1.5 million. Lelevier faces a total of eight counts in this case. His next court appearance is scheduled for July 11. 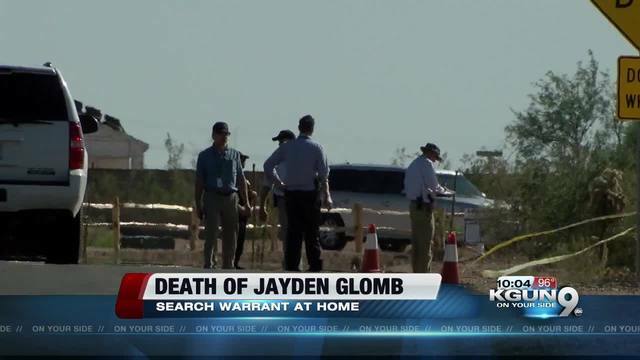 On May 11, Jayden was reported missing hours before her body was located near Mary Ann Cleveland Way and Steve Street, just north of Cienega High School. According to Sgt. Peter Dugan with TPD, a construction worker was leaving a new housing development when he saw what he thought was a body in the bushes. The worker got out of his car, confirmed it was a body and called the police. On May 31, Tucson Police arrested Lelevier . He was booked on counts of first-degree murder and abandoning or concealing a body. According to reports , Glomb's death has been confirmed as asphyxiation. She had abrasions on her neck, hemorrhages, as well as minor abrasion and contusions on her head, torso, and extremities.